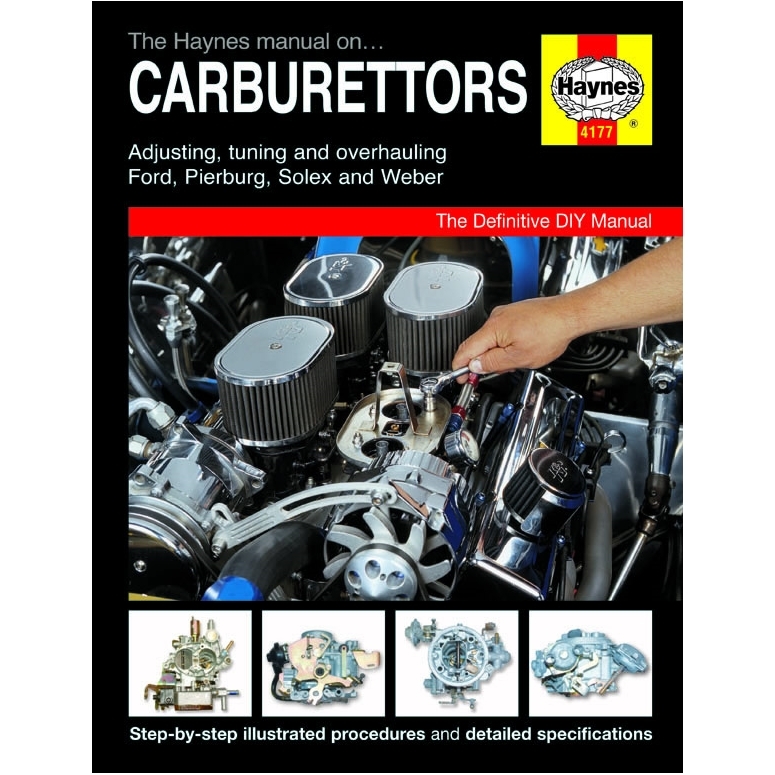 Part number: 4177 Categories: Service kits & gaskets, Weber jets & calibrated parts, DGAS DGMS parts, DGAV DGEV DGV parts, ICT parts, Other parts, Pierburg Carburettor spares, Solex Carburettors and Spares, Car. Tags: book, diagram, ford, guide, instructions, Manual, Pierburg, settings, Solex, tuning, Weber. 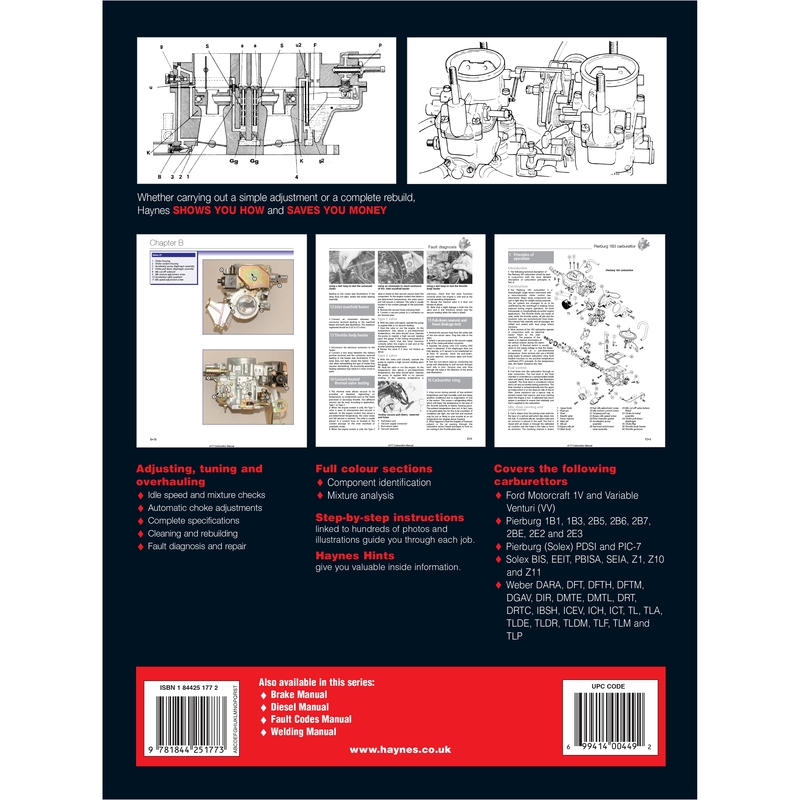 A comprehensive book for the adjusting, tuning and overhauling Ford, Peirburg, Solex and Weber carburettors. 400 pages of pictures, exploded views, dis-assembly and re-assembly instructions, settings and tuning information. 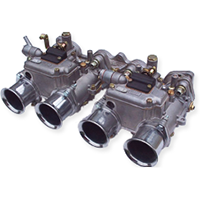 Ford 1v and VV Variable venturi carburettors.